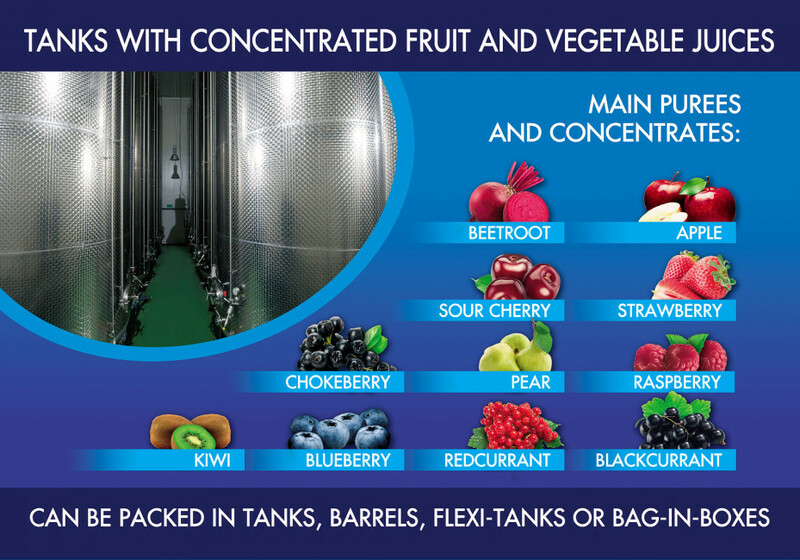 Quadrum Foods offers a range of fruit juice concentrates, pressed from healthy and ripe fruits. Quality parameters meet the legal AIJN practice and all current EU food laws and requirements without usage of chemical additives. At all stages of the production, hygiene requirements meet the regulation EC 852/2004 and all the processes are based on the HACCP principles. Concentrates are commonly used in the production of juices and beverages, flavours for dairy drinks, jams and desserts, as well as in candy confectionery and winemaking or other alcoholic beverages. apple, strawberry, cherry, raspberry, pear, aronia berry, blackcurrant, redcurrant, blueberry, red beetroot, carrot, kiwi, as well as natural fruit aromas.